The Mindful Home: Eco Nuts Soap Nuts Review and GIVEAWAY! Eco Nuts Soap Nuts Review and GIVEAWAY! 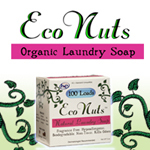 "Eco Nuts® Soap Nuts are a berry that grows in the Himalayas that naturally produces a soap. The soap is called saponin, a natural cleaner that works as a surfactant, breaking the surface tension of the water to penetrate the fibers of your clothing, lifting stains from the fabric and leaving dirt suspended in the water that is rinsed away. Eco Nuts are wild-harvested, meaning they are gathered from wild trees grown without any kind of chemicals, fertilizers, or pesticides. The saponin actually tastes bad to insects so no pesticides are needed, and the trees naturally love poor uncultivated soil. 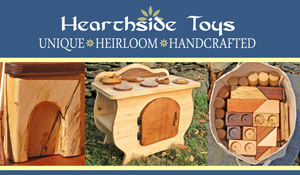 They are organically grown by mother earth and certified USDA Organic by Oregon Tilth. Our soap nuts are both de-seeded and sterilized - the only soap nuts on the market that are both!" You can find this information, more on how they are safe for nut allergies and much more HERE, and if you'd like to learn more about surfactants and how soap works, Eco Nuts has put together an informative blog post on the subject. So I have to admit, when I first learned about soap nuts a few years back, I was skeptical. Could this natural, unadulterated product really get things clean? Then as I began to use my homemade cleaning solution of citrus peels steeped in vinegar to get my whole house spotless, and realized people have been using soap nuts all over the world for centuries, I assumed the answer was assuredly yes! The thought of having nothing but a little cardboard box as the the waste for my laundry detergent positively THRILLED me! You see, I'd tried to no avail making my own laundry detergent, but the washing soda always bleached our clothing. I tried numerous powdered detergents, and those too either bleached our clothing or were ineffective at cleaning (possibly due to our water which I'll get to). My husband is a carpenter and at the end of the day his clothes are FILTHY! So I'd given up on homemade/powdered detergents, and I was poised to make a purchase some time ago, but a little disheartened to learn that according to their troubleshooting page, soap nuts are not ideal if you have very, very hard water. Well, our water was so hard it was crunchy! I would hear moms complain about suds in the rinse water and detergent build-up in cloth diapers, and after trial and error I ended up having to add 2-3 times the amount of cloth diaper detergent to get our diapers clean, and I'd look in the wash cycle and there would still be no suds! When I tested our water there with inexpensive Sofcheck Water Hardness Test Strips (available for $0.75/ea with free shipping at Sweetbottoms Baby) it was at the top of the scale for hardness. So, my dream of soap nuts would have to wait for the time being. However, if you have very hard water, Eco Nuts still has safe, natural laundry. 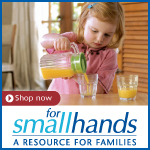 body and household cleaning products you can use! In the years since I first looked into it, Eco Nuts has developed a liquid detergent, good for hard water, HE front loaders and those who prefer to primarily wash in cold water. Their soap nuts can still be used with front loaders and cold water, but for cold water wash you will need to make a "tea" first. I love the fact that the smaller sizes of the liquid are packaged in recyclable aluminum, and I love even more that they offer a bulk 3 liter box size, with cost effective pricing per load, and minimal BPA free plastic packaging! So what prompted me to write this post? We finally moved and my trusty little test strip told me that our new home was at the polar opposite end of the water hardness spectrum - at the end of the test strip for super soft water. Honestly, one of the first things I rejoiced about when I discovered this was that I could try soap nuts! You don't need super duper soft water to try them either, but I was also excited at the prospect of no more crunchy water or having to use extra everything (even dish soap) to get anything that got washed clean. My dishes have never looked cleaner, and thanks to Eco Nuts, neither have our clothes! I have to say, I was still a tiny bit skeptical, but I purchased a little sample/trial size and gave it a try (and immediately ordered more!) :) I am embarrassed to admit that something happened when we moved here. Despite adding extra detergent to our very hard water, sorting out my husband's extra dirty work laundry and washing that separately twice every time, I was appalled at what was coming out of our laundry the first few times I washed everything! I mean, the water was so dark that I actually tested the machine without anything in it to make sure it wasn't the water itself. I don't know if it was retaining minerals from our crunchy water, but whatever it was, those Eco Nuts got the job done. It got rid of the filth that had been built up in our clothing for who knows how long! And colors? Man! I have purchased brightly colored bamboo velour mama cloth at two different times, so I have an old set and a much newer set of pads. I found that I kept reaching for the old ones, thinking they were the new ones because the colors had revived on them so much that they now looked the same. I haven't even gotten to the best part - fabric softener. It used to be my dirty little secret. 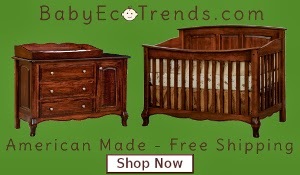 I'd scour the internet for deals on Ecover because it was cloth diaper friendly, and for our clothing, even two overflowing capfuls would barely get our clothing soft - ever. I couldn't wrap my head around moms who line dried their diapers completely, because even with occasional fabric softener and using the dryer half the time, those babies were not that soft. Now that I have soft water I get it! 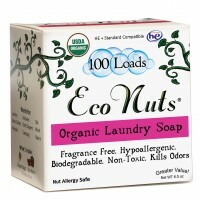 AAAAND...with Eco Nuts I haven't been using ANY fabric softener (none! ), and I swear our clothing is softer than it was at our last house with the two capfuls of fabric softener. So bye bye plastic bottles filled with overpriced fabric softener! Any time I can eliminate a plastic bottle from our daily routine, it's a good day, and Eco Nuts has taken out not one but two! This fact catapults Eco Nuts to being far more budget friendly than they already are on their own compared to the other "natural" detergents on the market. Just think how much you can save on fabric softener? According to their site, "During the rinse cycle a small amount of saponin (the soap) is released which acts as a natural fabric softener – opening up the fabric fibers instead of leaving a residue. No need to take out before the rinse- leave it in the whole time. 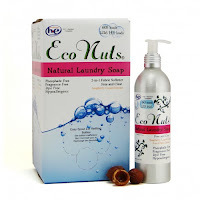 Because it is a natural soap and not a synthetic chemical, it will not leave a grime on the fabrics as you would expect with regular detergent, making Eco Nuts a great choice for sensitive skin." I'm here to tell you - it really does soften! I'm ready to make the switch - now what? The Eco Nuts website is chock full of helpful information. 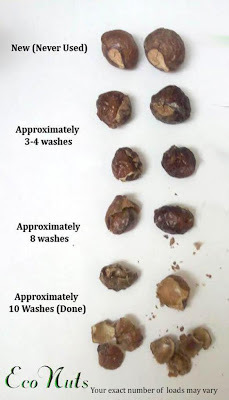 For instance, here is a chart on what to look for when your soap nuts start to decompose (did I mention they are compostable?) and ways to identify how to know when to replace them. 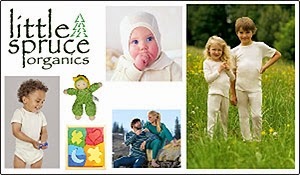 There is detailed info on laundry instructions, as well as using Eco Nuts to wash cloth diapers. I should note here that while I'm extremely tempted to make the switch for my diapers as well, I purchased our old diaper detergent in bulk before the move, and we are in the final, final stages of potty learning where I can sometimes go a whole day without a soiled diaper to be washed. That said, as many of you cloth diapering moms know, the washing can take some experimentation, and I've finally got a great routine, so I just adjusted my detergent amounts once we moved. If I was looking at an extended period of time in the future of washing diapers, I would absolutely try these and have no doubt they would work! OK, OK! I want to try some!